What Does the Grille Do? There are many parts involved in HVAC systems from quite basic to extremely intricate. Some parts are very similar and somewhat basic pieces of the big HVAC puzzle such as grilles and registers. Here we’ll look at what each one is, their roles in HVAC systems, how they are different and what are options available on the market. The grille, while not being the most productive piece of the greater HVAC system, is probably the most notable part. It covers the hole created by the end or entry point of ductwork. 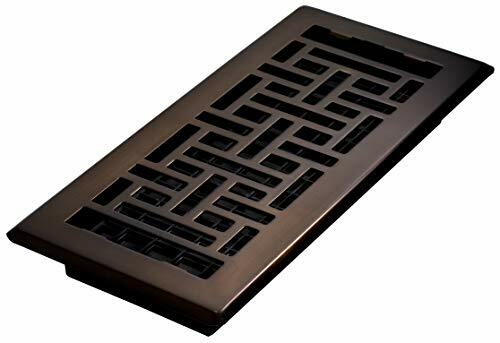 Grilles primarily serve as a gate preventing foreign objects from entering ducts. Grilles are the parts of the system that we see on a daily basis. Rooms with a central heating and/or air conditioning supply are typically lined with grilles either in the wall or along the floor. Therefore, an aesthetically pleasing grille is vital to the overall architecture and design of a room. 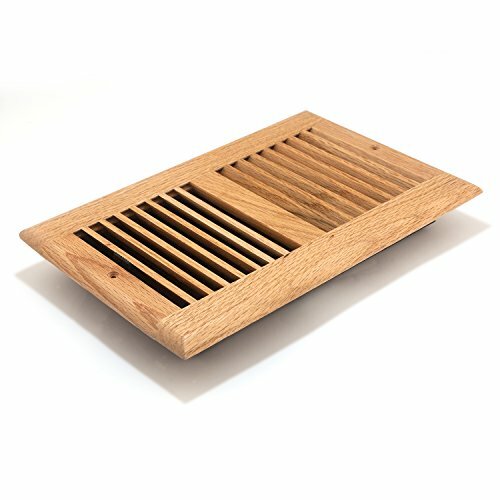 Certainly, in a room with the vents along the floor, a grille plays a much more vital role. It keeps foreign objects, or feet for that matter, from falling into the duct system which would ultimately hinder HVAC performance (or cause a sprained ankle). A register is a supply and an air return is, well, a return. The most distinct difference between the two is that a register has a damper, in some cases known as a louvre, attached to it. 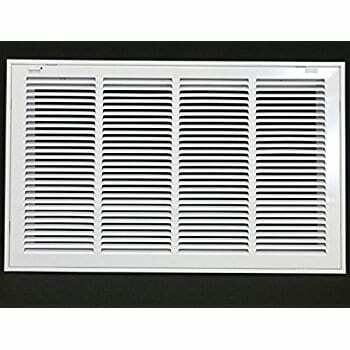 This allows for the air direction to be changed and for control of the speed of the air coming out of the vent. The simplest damper at least prevents air from rushing into a room from a vent. A register will typically have a lever to adjust these two features, although some simply have a damper to control flow. An air return is a type of grille that is less noticeable. This point is usually higher up on the wall or in the ceiling. A grille here allows for air to pass freely into the system while also limiting foreign objects entering the ductwork. However, there is no damper on an air return grille. While the grille that makes up part of a register or the grille of any air return may very similar in exterior design, they play different roles and are entirely different on the back end. 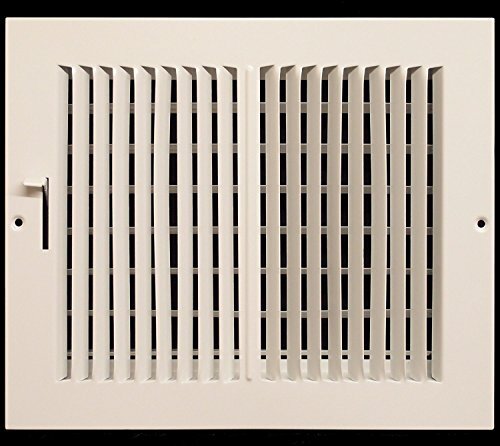 There are several factors to consider when choosing between grilles, registers and air return covers: desired air flow, room size and shape, aesthetics and HVAC design principles. For instance, while a grille at the output of an HVAC system would allow free flow of air, a register is more appropriate in most cases. This allows the air direction and flow to be changed to account for factors like furniture placement and where the room is populated. Obviously, the size of grille, register or return is primarily based on the HVAC system and ductwork dimensions. Special consideration for the placement of air returns is taken when your system is designed – warmer air rises, and ideally warmer air is sent back to the system via the return. Ergo, an air return placed higher in a room is typically more efficient. Combined with grilles or registers placed on or near the floor, a high air return can create optimally efficient airflow for a system. Making sure the right cover is put in place - whether a register or simple grille for air supply or return - is part of your initial design. But knowing the difference is key if you decide to redesign your interior or there’s an issue with one of these pieces. 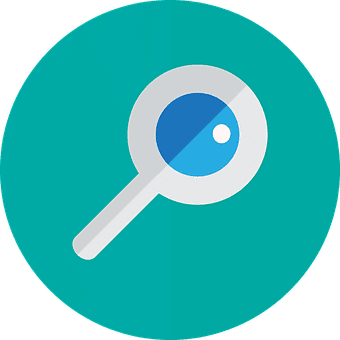 There are several different types of registers that are available on the market. Each is different in their dimensions, pros and cons, etc. All provide an idea of the choices that are available for different designs and placements. This register is an example of the beautiful choices available on the market. It is 4 x 10 inches and would be used in a floor vent application. It has a steel frame, while the damper is made of plastic. A damper is important here to ensure proper airflow from the floor. The plastic design allows for a rustproof product to ensure the function does not fail over time. 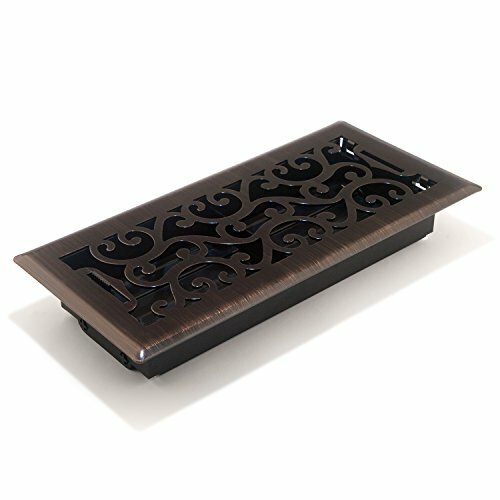 This register is available in multiple sizes and metallic colors, allowing for consideration of overall design. They are only for floor application, limiting their versatility. This is another register design used in floor-vent applications. It is available in 4x10- or 4x12-inch designs. It has a steel frame, while the damper is made of plastic. A damper is important here to ensure proper airflow from the floor. The oriental, crisscross design provides a unique and aesthetically impressive touch to an HVAC system. A plastic, rust-free damper is also attached to control air flow. There are three metallic color options available to ensure an appropriate presentation in the room. As its name suggests, this “grille” is used on the supply end of the HVAC system. It does have a damper, allowing for control of air flow, so this would be considered a register. The slats on the grille are directionally split two ways, allowing for airflow to two different lateral directions. The damper has multiple shutters to allow for appropriate directional control. This piece is 14x6 inches, so would be used in a larger duct opening. It is a very bland design that only comes in white but is a serviceable unit for a business or large room. The Accord AOSWOLL is a register that can be applied either in a sidewall or in the ceiling, proving quite versatile for residential design applications. This is a unique register made from solid oak, providing an eye-catching design. The damper is plastic, allowing for a durable rust proof function. Being wood-based, it may be challenging to perfectly match multiple registers as the color can depend on the grain of the underlying wood. While more expensive than other designs, it certainly provides a unique look that is sure to please the eye. Don’t be fooled by the plastic description of this design, it still comes in a variety of metallic colors to provide a variety of applications. There are also multiple dimensional options allowing for multiple HVAC system designs. The damper box is plastic to provide a rust-free finish. This design is ideal for floor applications. There is no damper control. There are multiple variables when considering between grilles, registers, and air return products. Function must be considered first along with overall system design. As we have seen in the reviews, there is enough variety to also consider the overall aesthetics and presentation. At the end of the day, it is important to remember that the grille, register and air return are the face of the HVAC system. A well-designed, efficient system deserves an appropriately-chosen grille.